Those of us who have played Wipeout on the PS3 will definitely find the video interesting, Wipeout racing has always been amazing gravity defying, weapon based and challenging racing. With the EU and NA launch of the PlayStation Vita coming up soon one of the launch titles to be offered with the handheld along side Uncharted: Golden Abyss and many more amazing titles! While the Vita missed a christmas launch date and was launched exclusively in Japan it won’t be soon until the Vita sales pick up once the system goes global. While the Vita has had disappointing sales sine its launch in Japan against the Nintendo 3DS the big launch titles with the system on it’s EU / NA launch should help make up for those sales. Wipeout 2048 is only one of many launch titles on the PS Vita and throw in Uncharted 3 along with many PSN pre-order bonuses for additional content it can easily be assumed that the Vita will have a good launch in the western front of the gaming world. The trailer shows us how racing got from 4 wheels to no wheels and gravity defying racing. You can see Formula 1 cars change to next generation race cars and even those cars evolve into the cars used in Wipeout races. 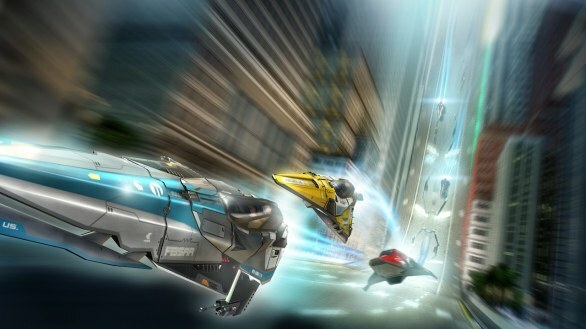 While this will be the Wipeout game yet on the PlayStation considering how powerful the Vita is in terms of hard ware the game experience gets a lot better with the touch screen interface of the Vita itself where players can launch and absorb weapons. The game will launch with the system on February 22nd 2012 so be sure to get and Uncharted : Golden Abyss if you really want to enjoy the beauty of the Vita :D.